9 − three = Required Please enter the correct value. 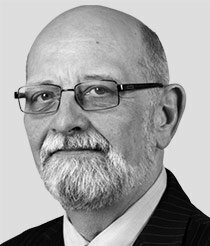 Insider's View: Greece and the geo-political impact on oil are dominating the energy headlines now, but Kent is taking the long view. He has the inside story on what could be the most profitable upheaval in the history of commercial energy. Learn more about this massive development here. 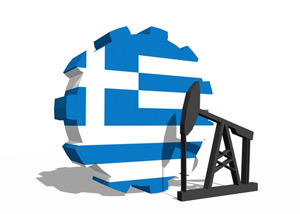 Readers: This article was first published in Oil & Energy Investor on June 30, 2015, and contains valuable information on the future of the price of oil following the debt crisis in Greece. In Greek history, there is a story that after devising the Athenian system of governance, the great classical lawgiver Solon was walking down from the sacred council site of the Areopagus when he was greeted by another citizen. "Well, Solon, did you give Athens the best constitution possible?" the fellow asked. "No," Solon responded. "I gave her the best constitution she could accept." It seems politics in the cradle of democracy haven't changed much in the last 2,500 years. Take the current (and soon to be former) Greek Prime Minister Alexis Tsipras as a good case in point. His Syriza party currently "anchors" the government in Athens. Essentially a coalition of the far left in the Greek political spectrum, it rode into power on a wave of popular anger over debt and creditors. This populist government has now broken off negotiations with creditors. Greece will certainly miss its interest payment to the International Monetary Fund (IMF) due today and will not be able to make the larger payments to the European Central Bank (ECB) scheduled over the next month. Some of this anger was understandable and not particularly unexpected. The Greek people have had a miserable go of it over the past several years as austerity budgets, rising unemployment, the lack of any coherent fiscal and monetary policies, and declining genuine investment expectations cast a pall on the country. I saw some of this a while back when I was in Athens to talk about the relationship between debt and oil prices (more on that in a moment). There was a roughness forming in the streets while the graffiti adorning public buildings was becoming confrontational. Tsipras played to all of this by running a populist campaign. Unfortunately, in the five months he has been in office, his cabinet has done nothing. A left-wing farce all dressed up like a government has managed to fragment its own political base, develop no policy, negotiate in bad faith (when they weren't simply walking away from the table altogether), and put a country on the brink of an economic disaster, along with an exit from the Eurozone and perhaps the European Union itself. In response to all of this, Tsipras blamed outside creditors (one populist ploy) and decided to let the people decide the matter in a referendum to be held on Sunday (another game of populist chicken).